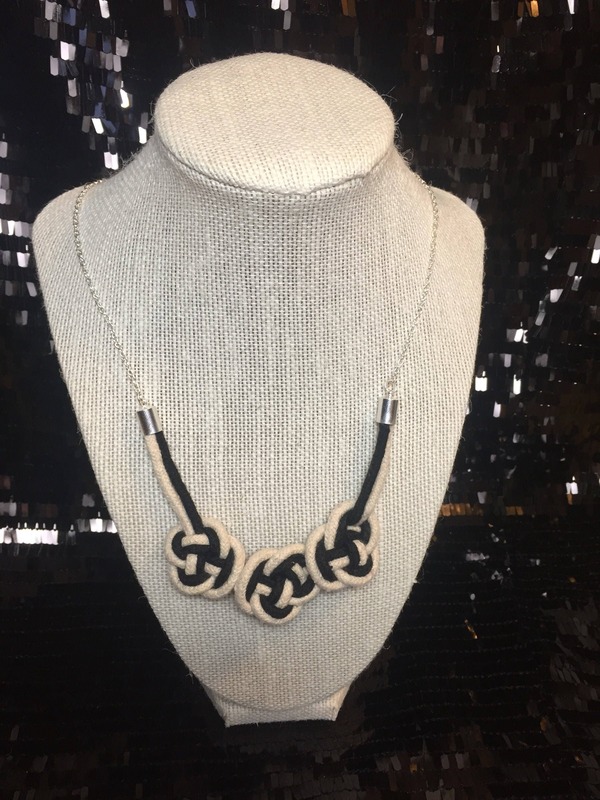 This necklace is a knotted masterpiece with three double coin knots all in a row. 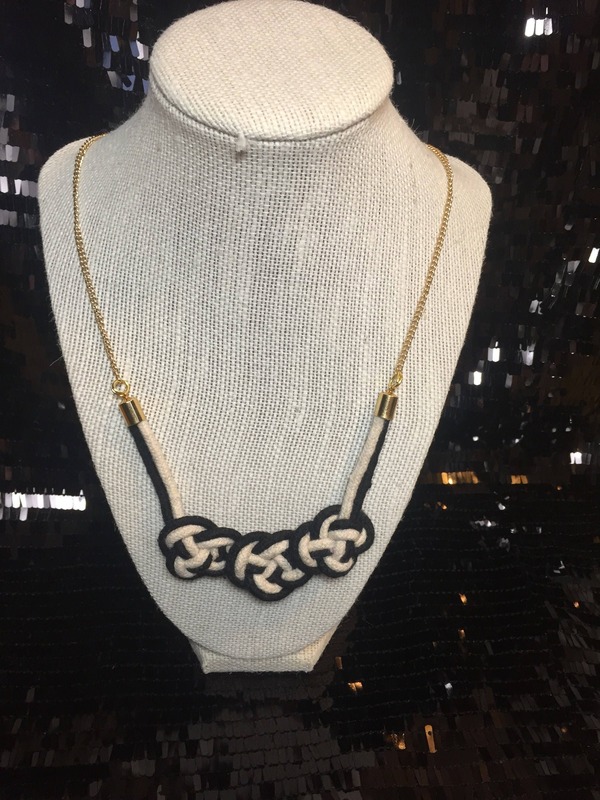 It is a statement piece unlike any other! Can be made with gold or silver hardware.